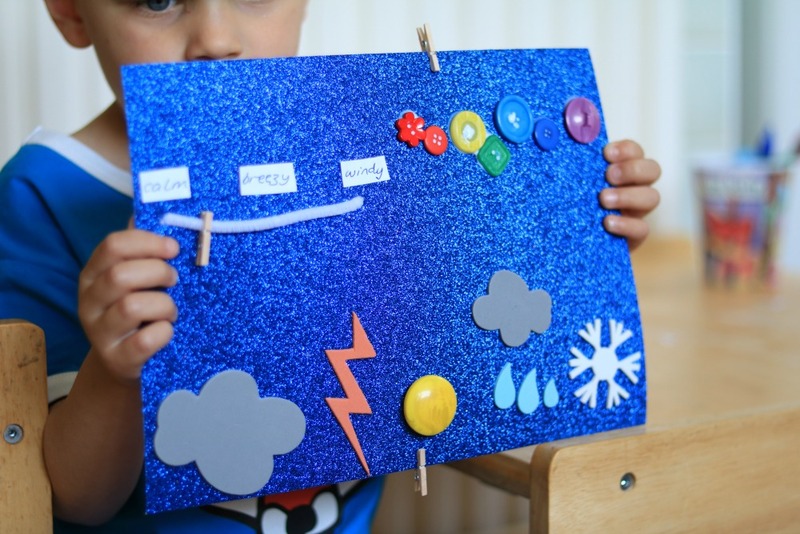 May's Bostik Blogger craft box has a weather theme to it. I've been really excited about doing this month's craft as I knew I wanted to make a weather chart. 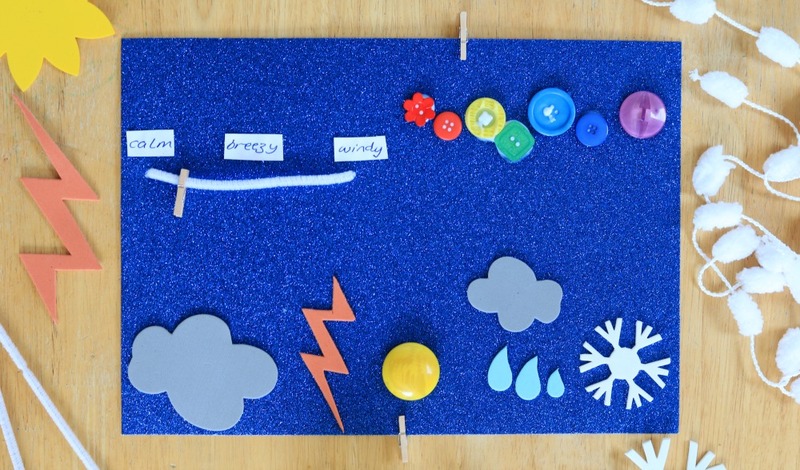 They are fun to make, easy to do and a great way of teaching younger children about the different weather types. Amazingly the arrival of our monthly box of craft goodies from Bostik always seems to coincide with us being stuck indoors for various reasons. Little N happened to be off preschool today as he's got impetigo - yep, another skin infection, poor kid. So it was the perfect day to get stuck in and get sticking! You can find more of our craft ideas here. - Using the Bostik Fine & Wide Glu Pen stick the foam weather shapes along the bottom of the card. 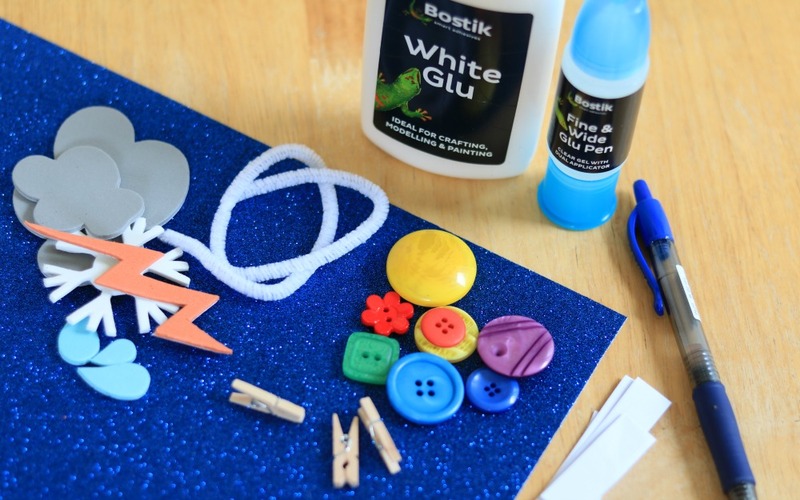 If you're using a big button for the sun like we did, the Bostik White Glu will be better. 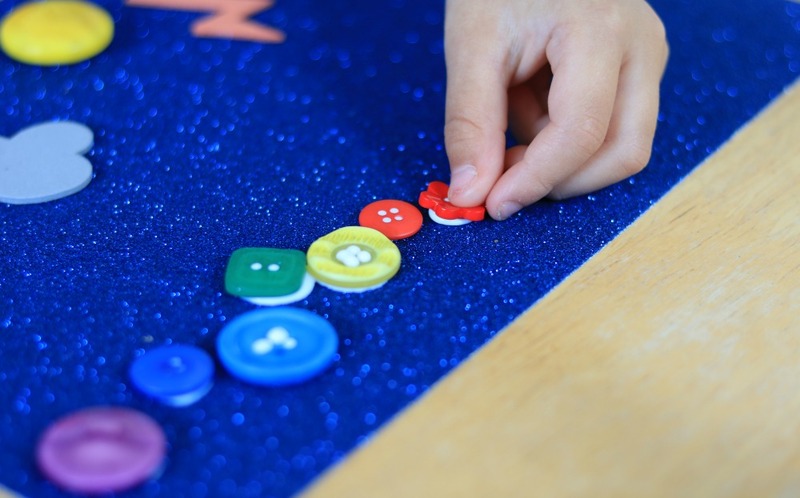 - Use the Bostik White Glu to stick the rainbow coloured buttons along the top right of the card. This will be to show the temperature. - Poke two holes about 12-15cm apart in the top left of the card, and thread the pipe cleaner through. - Write "calm", "breezy" and "windy" on small pieces of paper and stick these above the pipe cleaner. 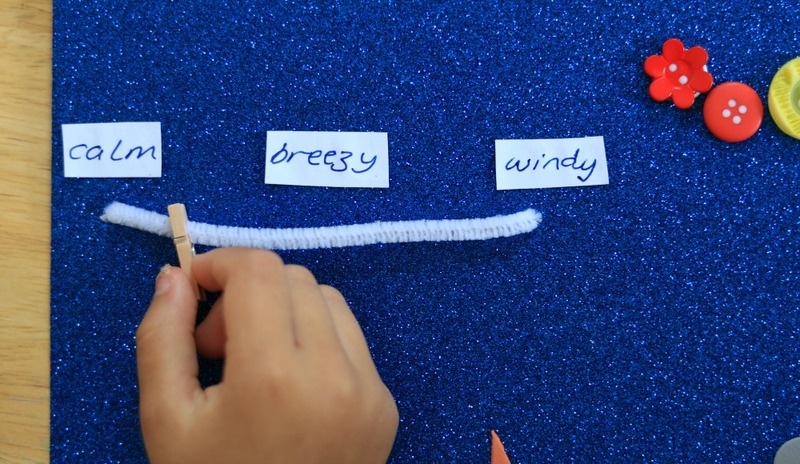 - Use the mini pegs to mark on the chart what type of weather, how hot or cold and how windy it is! 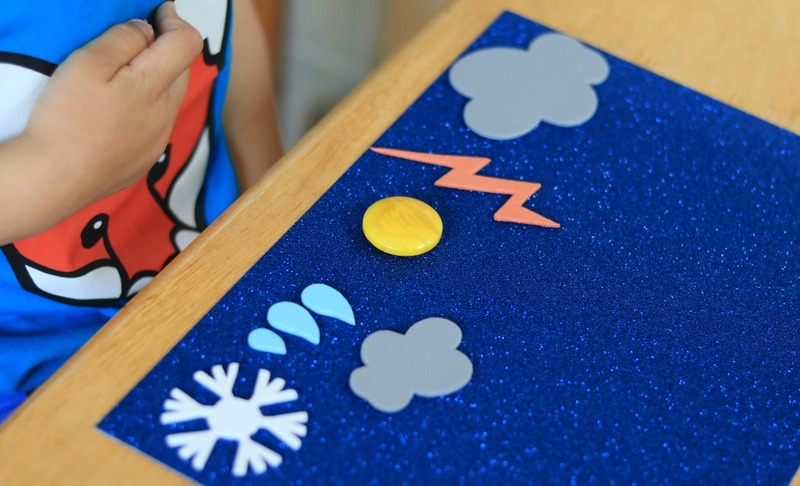 What other weather-themed crafts should we try? Let me know in the comments below!